Also called choriqueso. Mixed jack and oaxaca cheese with tequila, chorizo and beans. Served with tortilla chips. Yuca croquetas stuffed with cheese. Served with Huancaina sauce. Fried calamari strips. Served with our homemade mexican tartar sauce. Mahi-Mahi fish marinated in lime juice chili peppers and cilantro. Topped with red onions. Served with sweet potatoes and peruvian corn. Peruvian gold yukon potatoes. Topped with a sauce made with a blend of three cheeses and peruvian peppers. Served with hard boiled egg and botija olives. Our homemade tamales with pork, chicken and rajas. Topped with three unique different sauces. Four crispy taquitos with shredded beef. Topped with lettuce, guacamole, pico de gallo and sour cream. Flaky pastry stuffed with sautéed ground beef, tomatoes, onions, botija olives, raisins and hard boiled egg. Three marinated chicken kebobs. Served with peruvian ají verde and chimichurri sauce. Four jumbo coconut crusted shrimp. Served with our homemade pineapple ginger dipping sauce. Traditional Peruvian timbale of lime-scented potato puree, layered with white albacore salad filling. Served chilled with avocado, topped with hard boiled egg and a poached jumbo shrimp. Wonton rolls stuffed with cheese. Served with guacamole. Sweet potato puree mixed with bacon bits and jalapeños, dipped in tempura beer battered. Served with ranch dressing and our house blend wine reduction and a side of coleslaw. A crispy flour tortilla shell with spring mix lettuce, topped with your choice of meat, tomatoes, guacamole, sour cream cheese and pico de gallo. Baby spinach with our homemade sweet balsamic vinaigrette dressing, topped with bacon bits, red onions, cherry tomatoes and sprinkled with goat cheese. Tender cactus with tomatoes, onions, jalapeños, cilantro, lime juice and olives. Sprinkled with queso fresco. A bed of spring mix lettuce topped with fresh mango, jicama, cherry tomatoes, onions and passion fruit dressing. A native grain of the Andes mountains mixed with tomatoes, onions, corn, black beans and queso fresco, over a bed of spring mix. Romaine lettuce tossed with our homemade Caesar dressing. Topped with grilled chicken breast, parmesan cheese and crutons. With sautéed onions, tomatoes, bell peppers, our original ranchera sauce and your choice of meat. Served with spanish rice, beans and tortillas. Served with spanish rice, beans and tortillas. Seasoned fried pork prepared mexican style. Served with beans, spanish rice, tortillas and a key garnish of onions and cilantro. With your choice of meat, topped with lettuce tomatoes, guacamole, sour cream and queso fresco. Served with rice and beans. Served with Spanish rice and your choice of whole pinto beans, Peruvian refried beans or Cuban black beans. With rice and beans inside. Guacamole, sour cream and pico de gallo on the side. Choice of meat: Carne asada, carnitas, pastor, chile verde, chile colorado shredded chicken or beef. With rice and beans, topped with guacamole, sour cream, pico de gallo and queso fresco. Choice of meat: Carne asada, carnitas, pastor, chile verde, chile colorado shredded chicken or beef. Spinach gently sautéed in white wine rolled on flour tortillas. Topped with our homemade green tomatillo sauce, sour cream and queso fresco. Served with cuban black beans and spanish rice. Sliced tenderloin beef sautéed with onions, tomatoes, soy sauce and cilantro. Served with fries and garlic white rice. Grilled Cod, topped with Tequila-Pico de gallo sauce, green olives and jack cheese. Served with sautéed vegetables and white garlic rice. Jumbo shrimp sautéed in white wine, butter, fresh garlic and herbs. Served with sautéed vegetables and Spanish rice. Served with sautéed vegetables mixed with quinoa and grilled asparagus brushed in Chimichurri sauce. Topped with crispy leeks. Grilled salmon with cajun seasoning. Topped with our homemade fresh mango salsa. Served with sautéed vegetables and garlic white rice. Carne asada with grilled onions and jalapeños with four jumbo coconut shrimp. Served with our homemade pineapple-ginger dipping sauce, sautéed vegetables and spanish rice. Black tiger shrimp and crab enchiladas with sautéed onions, tomatoes, bell peppers and mushrooms. Topped with our creamy white wine sauce. Served with peruvian refried beans and spanish rice. Slow cooked beef in a black beer cilantro sauce. Served with garlic white rice and Peruvian beans. Topped with salsa criolla. 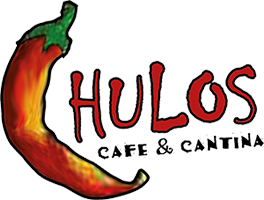 Tossed with Huancaina sauce, made with a blend of cheeses and peruvian yellow peppers, sprinkled with parmesan cheese and your choice of grilled chicken, grilled shrimp or ribeye steak.